Atty. Glenn Chong, lawyer of the Presidetial Electoral Tribunal (PET) has brought forth results of the recount done in the Province of Camarines Sur and it was shockingly disappointing. Tampering left and right, wet unkept ballots and misplaced or missing election documents spring everywhere. It was complete mayhem for the revisors yet they pushed through. The municipal treasurers of the towns of Bato, Sagñay, Garchitorena and Ocampo were given 10 days from the moment that they’ve accepted the notice of the PET to explain the what has happned to the ballot boxes under their custody that’s discovered to have wet and tampered ballots. But this notice only covers the incident reports from April 2 to April 17, what the PET has discovered from April 18 onwards is not covered by the explaination. Yet there are alot of other horrors that surprised the revisors in the following days. Based on the incident reports, in the town of Sagñay, the ballot boxes that they’ve discovered had broken security seals and wet contents. It was their first official case of acknowledgment from the PET that there were wet and tampered ballots from Camarines Sur. But even if the ballots were wet, the PET could still considered them. They could’ve decrypted the ballot images and use it for the revisions yet the problem was it would be unreliable since the Commission on Election and Smartmatic could quite possible tamper with the decryptions before hand, making the ballots worthless. On another Tribunal, the House of Representatives Electoral Tribunal (HRET) were also facing the same problems in Naga City where former Representative Luis Villafuerte was protesting against Vice President Leni Robredo’s faithful lacky, Representative Gabriel Bordado on the same grounds that former Senator Bongbong Marcos did against Vice President Leni Robredo. When it came to the electoral documents, 1 out of 3 ballot boxes of the entire province have missing voter receipts. Election returns and Minutes of Voting documents were also missing! And yet surprisingly the PET discovered that the town of Milaor actually had some of the missing documents from other precincts! There are 11 more towns in Camarines Sur still need to go under the revisions and the further the revisions go in the said province, the more anomalies start splurting from every direction. In the town of Ragay, they even discovered a precinct that transmitted results a day before it was open for voting! WHAT ABSURDITY! If all of this is not a reason to believe that electoral fraud did not happen during the 2016 Elections, then the Philippines is in vain. Also, sadly the Supreme Court, acting Presidential Electoral Tribunal, is being discredited through negative publicities of the Opposition on the High Court’s decision of removing the impeachable Chief Justice through quo warranto petition. 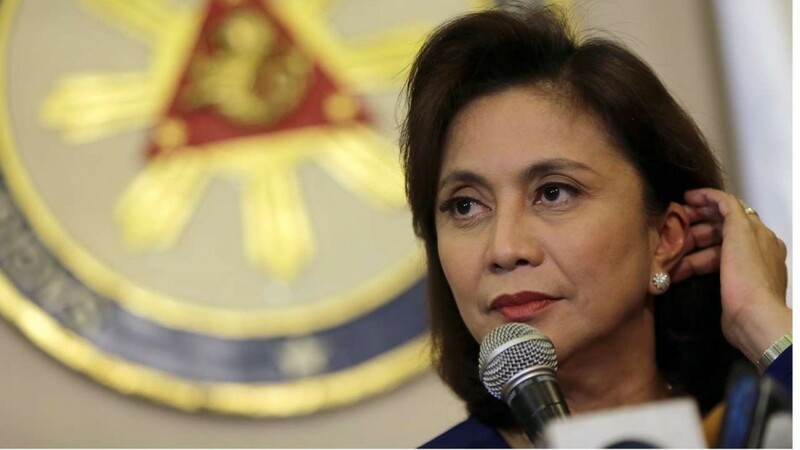 The link here being is that the faith of the Opposition’s member, Vice President Leni Robredo is in the hands of the decision of the PET, the Supreme Court after the revision. And so far, it hasn’t been looking well for the Vice President. Corner a tranquil dog and it will not hesitate to fight and go rabid in order to survive, the same logic may be applied to the Opposition in their aforementioned situation. Lastly Chong reports that the retrival of 2,740 ballot boxes within Iloilo has started. Hopefully it wouldn’t be as disappointing as Camarines Sur.